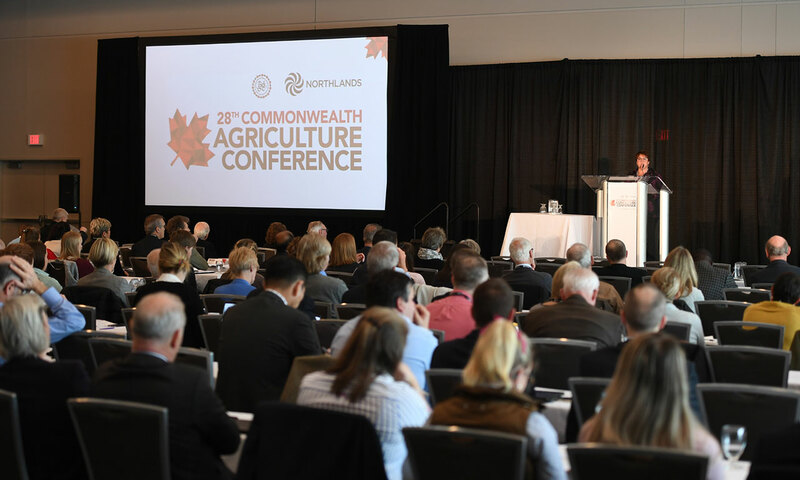 It was a great privilege to recently attend the 28th Commonwealth Agriculture Conference held in Edmonton, Canada. As a member of the Royal Agricultural Society of the Commonwealth our Society values this relationship with the many like organisations across the Commonwealth, America’s and Europe. This event was again very professionally organised with various sessions, field trips and guest speakers across the 14-day programme of the conference. We looked at food production and the challenges agriculture is facing worldwide and heard from many speakers who are making a difference in supporting our farmers and food producers while also telling positive stories. In the CEO sessions we shared experiences in running world class Agricultural events and the many facets, challenges and opportunities we all face in our roles. One of the many highlights of the event was the record number of next generation attendees – over 70, these young people are the future of our industry. I was very impressed with this group and I will watch their leadership roles emerge over the next few years. Networks are important, as is collaboration. All of us agreed that we need to work together to advance agriculture, promote our industry positively and educate our various audiences on the contribution food production makes to our world. We also agreed that we face many challenges and it is up to us individually and collectively to promote and educate through our various organisations across the globe. I look forward to the next conference to be held in Norwich, UK in June 2020.